The 1955 General Motors LaSalle concept cars accurately predicted what cars would be like some 50 years after they took the stage. It could also be written that these cars were the hinge pin in the GM’s ultimate bankruptcy and the takeover of import cars in the US market. Joe Bortz, noted car collector, now has both the sedan and roadster in his collection and they’re an interesting perspective on the company at the time and what happened since. When my dad was alive and involved in the automotive industry he was party to a conversation between a GM executive and one from Daimler-Benz (Mercedes) in the 1980s. The Mercedes exec asked the GM exec why their cars offered so little advanced engineering considering that they had, arguably, the best engineering staff in the world. After all, at that time, Mercedes was credited with the finest and best-engineered cars money could buy. The GM exec responded that GM sold plenty of cars, they didn’t have to offer advanced engineering and Americans didn’t know the difference between a pushrod and a propeller shaft. This sad vision of the automotive scene was true, at the time, as the company had enough market share so that they didn’t really have to do much other than brand the same lousy car with lots of different badges and the American public slopped them up like pigs at the trough. But there was a time when GM was run more by engineers and car enthusiasts than by stock watchers and bean counters. And you can almost pinpoint the time that the company stopped caring. That was the time when the 1955 LaSalle Sedan and Roadster were shown at the Motorama car shows but never ushered into production. These two cars were stars of the 1955 General Motors Motorama exhibition and why wouldn’t they be? They offered incredible styling but, even more, they offered a fuel injected double-overhead cam aluminum block V6 engines, fully independent suspension, manageable proportions and so much more. The cars were literally so far ahead of anything produced anywhere in the world and predicted what cars would offer some 50 years later. The unrestored 1955 LaSalle sedan, left, and the restored 1955 lasalle roadster, right, at the Amelia Island Concours. GMC’s L’Universelle van, also shown at the same time, was also more advanced thinking predicting a front-wheel-drive van platform like the one that Chrysler would popularize in the 1980s. Sharing the spotlight was the 1955 Chevrolet Biscayne which was featured in a story by Jim Cherry and was a showcase for the then-new 265 V8. After showing these two revolutionary beauties the cars were housed in a warehouse somewhere and ultimately hauled to a junk yard to be cut up for scrap. 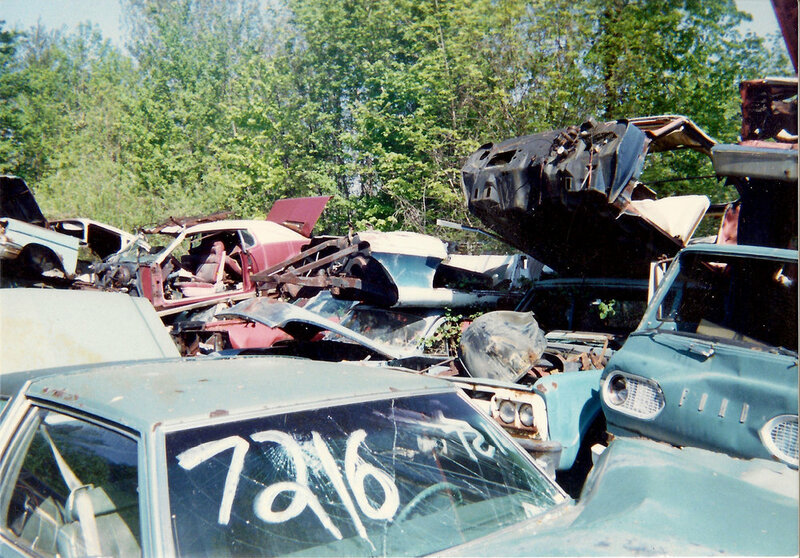 Fortunately Warhoops junk yard in Detroit didn’t really follow those scrapping orders and, even more fortunate for us, famed Motorama Dream Car collector Joe Bortz was able to take possession of these marvels decades after GM ordered them scrapped so they’re here today as a testament to what could have been. The LaSalle Sedan was effectively just hidden away but the Roadster was cut up, but never crushed. Joe Bortz got the cars and facilitated the arduous task of putting the little two-seater back to original condition. After years and years of painstaking research, detailed craftsmanship and incredible persistence the LaSalle Roadster is as it was back in 1955 on that spinning platform, a gleaming example of the incredible engineering and design talent that was the GM of the 1950s. Due to time pressures the V6 engines in the LaSalle pair were never fully completed, but the promise was there as was the engineering. These cars weren’t the lumbering behemoths that was typical of their Detroit contemporaries, but the LaSalle roadster was actually a bit smaller than the Corvette of the time. The LaSalle Sedan is a bit larger, of course, and features suicide doors and a unique wrap-around windshield that’s sort of an extreme version of the ones that appeared on GM’s 1959 vehicles. Restoring the Roadster was an incredible combination of very talented individuals and some luck. 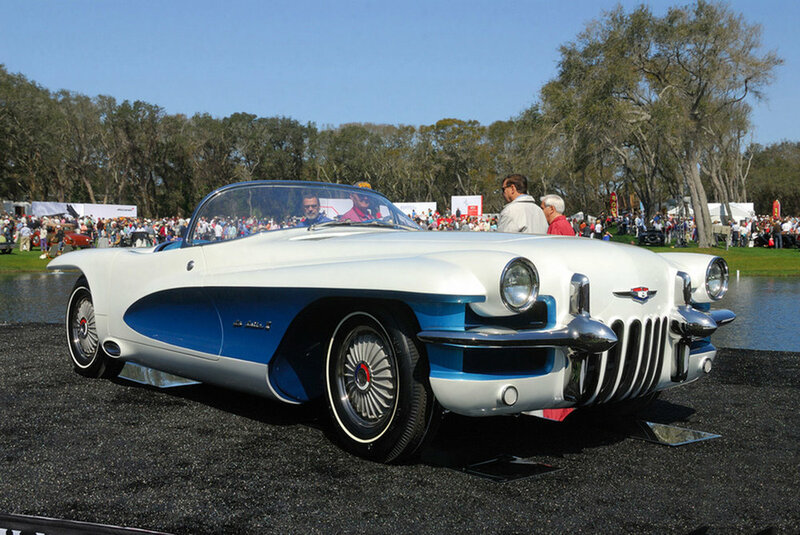 Joe was able to work with retired GM Design Director Larry Faloon who found drawings and photographs of the LaSalle Roadster as it was being developed. As luck would have it, the GM Heritage Center had several filing cabinets full of microfiche images from special order cars. Since the LaSalles were just that, they had been documented in this process. The interesting thing, according to Bortz, is that many of the components and thinking of the LaSalle Roadster were actually slated to appear as the Corvette but GM could sell plenty of those cars with all the parts from the 1953 Chevrolets that they were the product of, and volume didn’t justify the advanced engineering, so the Corvettes stayed the primitive cars that they were rather than adopting some, if not all, the thinking of the LaSalle. This malaise thinking didn’t happen at Ferrari or Mercedes or BMW where they took their advancements and made them available in showrooms. While there is certainly a place for cars with pushrod engines and live rear axles, with all the divisions GM had at the time there could easily be an argument made for one taking a leadership role so the company wouldn’t have to declare bankruptcy in the decades to come. Since the LaSalle Sedan was never chopped up or destroyed (listen to our podcast on these cars) Joe has elected to keep it unrestored. 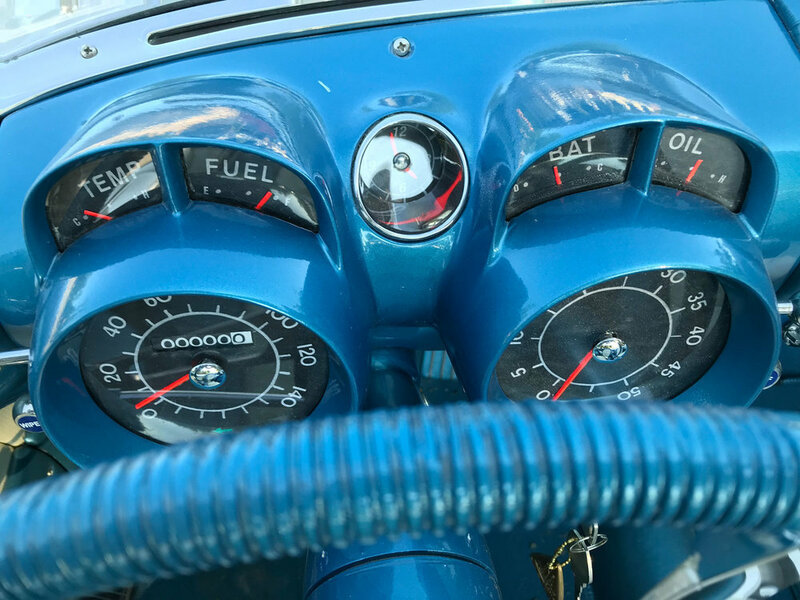 The Motorama shows were a tribute to the best of design, engineering and talent that this country had in the 1950s. They represented the optimism of a generation of people who valued creativity, manufacturing, quality and design. But the recession of the late 1950s, along with a shift in thinking at GM, really squashed that joy and optimism and we ended-up with Chevrolet Cavaliers, Pontiac Aztecs and the awful cars that were sadly festooned with Cadillac emblems. Fortunately Joe Bortz hasn’t forgotten that passion and has made a life’s work of bringing back the gleaming examples from the 1950s. With some of his projects taking over two decades, it’s not an easy task to bring a one-of-a-kind example of the best in engineering and design back from being pieces sticking out of the mud at a junk yard, but Joe’s done just that with the LaSalle Roadster as well as the Chevrolet Biscayne Sedan. Who knows what kind of leadership position this country would be in today if the best we had to offer became the best we could have instead of settling for literally the worst junk a profit-focused corporation could shove down our throats. Oh well, at least we can enjoy these wonderful Motorama cars thanks to the passion of Joe Bortz. Check out our two-part podcast interview with noted Motorama Dream Car collector Joe Bortz.